A reliable source for Pressure Gauges information and a resource for accessing leading Pressure Gauges and suppliers. Pressure Gauges Manufacturers Pressure gauges are a group of devices that measure and display fluid pressure levels (of liquid or gas) inside enclosed vessels or systems. Pressure is nothing more than the measurement of the amount of force applied over a specific unit area. 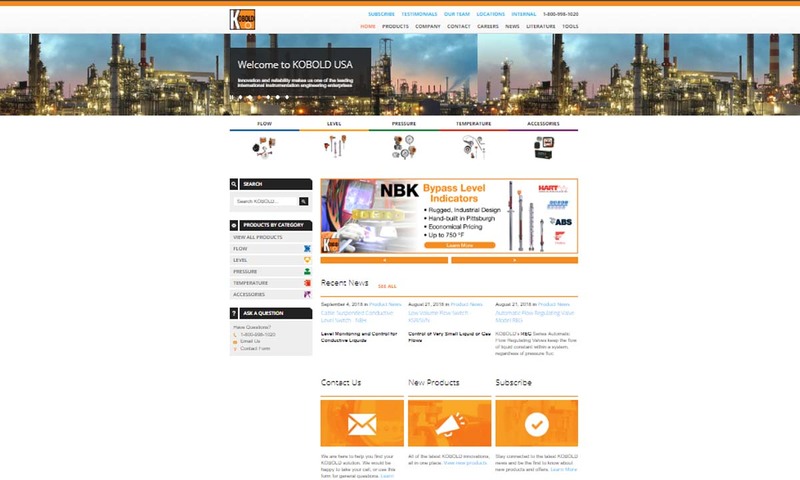 Since 1980, KOBOLD Instruments has been designing and manufacturing high-quality instruments for measuring, controlling and regulating flow, pressure, level and temperature. Our products include switches, meters, pressure gauges and transmitters. Since 1946, Lenz has been manufacturing quality products including pressure gauges-stainless steel, liquid filled pressure gauges and much more. We provide fluid power solutions to companies of all kinds. Looking for quality pressure gauges to measure a gas or liquid pressure? 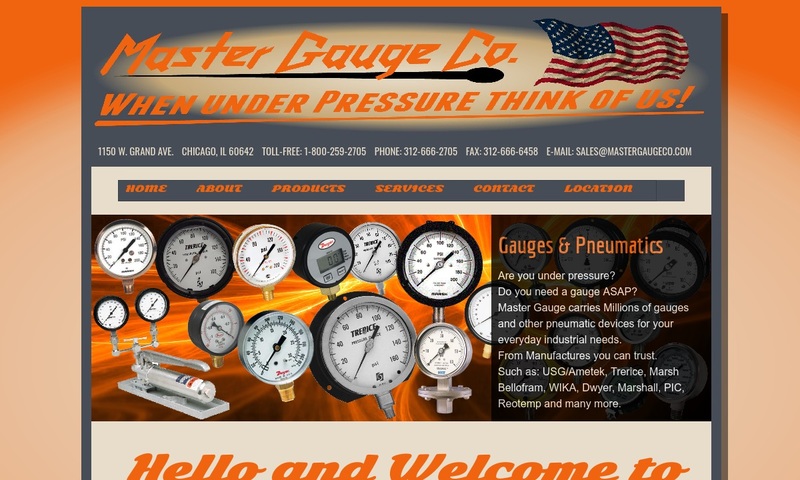 Master Gauge Co. manufactures a comprehensive line of affordable high quality pressure gauges for a variety of demanding commercial and industrial applications. 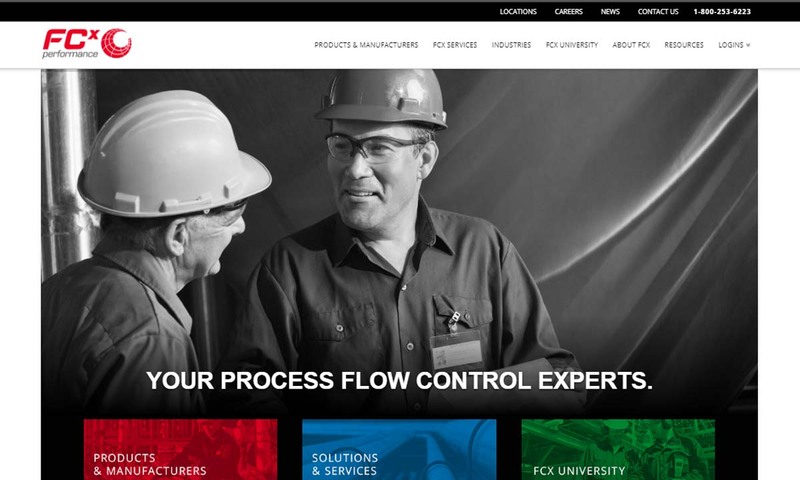 FCX Performance is a leading provider of process flow control products for a wide range of industrial and high purity applications. 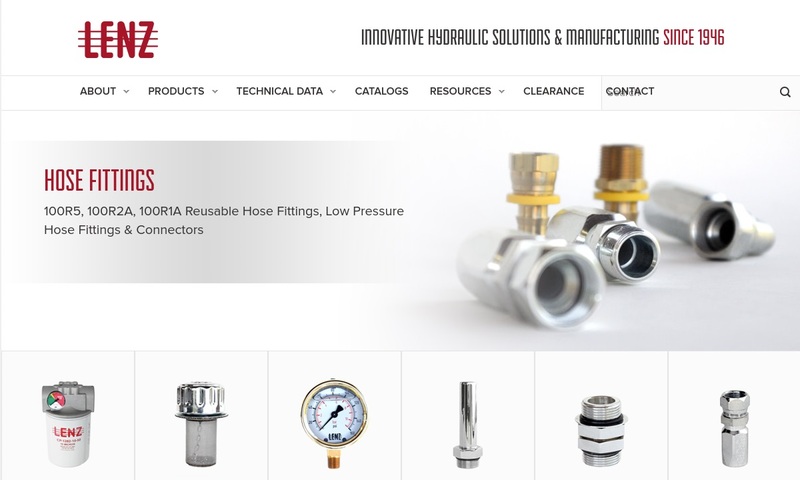 Such products include, but are not limited to, valves, actuation & accessories, instrument measurement & control products, and more. In a certain sense, the origin of pressure gauges can be traced back to the early modern era and the scientific discoveries of Evangelista Torricelli, a mathematician and physicist from Italy. In 1644, Torricelli discovered the existence of vacuums in nature as well as the fact that air carries weight. Other scientists like the Frenchman Blaise Pascal continued to build on Torricelli’s discoveries. Pressure gauges as we know them today, however, did not truly come in to being until the Industrial Revolution. During the 1840s, Frenchman Eugene Bourdon began searching for a solution to the disturbing rate of fatalities involving highly-pressurized locomotive engines. The result of his efforts was the invention of the Bourdon gauge in 1849. Although initially designed for railroad application, Bourdon inadvertently made a much larger contribution to the field of industry as a whole. The Bourdon gauge enabled industrialists of all types to measure much higher-pressure levels than had previously been possible and opened the way for further gauge development. Today, the Bourdon gauge (discussed further below) continues to be the most commonly used type of pressure gauge. The measurement of pressure is crucial to the safe and proper functioning of many types of industrial systems (e.g. water-based systems, oil-based systems, gas-based systems), and corresponding industrial products (e.g. water heaters, fire extinguishers, medical gas cylinders, etc.) Entire fluid power systems would be unpredictable and unreliable (and thus, useless) without an accurate way to measure and adjust pressure. Measuring pressure is important not only to maintain mechanisms that directly run on proper pressure control, but to properly operate mechanisms that depend on values tied to pressure control (e.g. flowmeters where pressure levels affect flow rates). In fact, pressure is so important to modern industry that it is one of the most commonly measured phenomena in commerce as a whole. Only temperature is more commonly sampled. Pressure gauges may be fabricated with a number of materials, depending on the demands of the specific application. A couple of examples follow below. • Many gauges are exposed to harsh substances or chemicals including those that operate in the chemical, petrochemical, refining, power, and pharmaceutical processing industries. Such gauges must be corrosion-resistant; most likely, they be made of stainless steel. On the other hand, for pressure gauges that will encounter only non-corrosive fluids or gases, brass or bronze construction will probably be adequate. • The specific pressure conditions a gauge will operate in constitute another factor in material selection. High pressure scenarios generally require gauges made of very durable material, such as steel. In contrast, low pressure scenarios may be well served by gauges made of bronze, or similar material. The internal mechanisms of gauges are usually made of materials such as Beryllium copper, phosphor bronze, various steel alloys, etc. Typically, the internal tubes inside pressure gauges (discussed in the following section) receive a specific form of heat treatment know as spring tempering. Such treatment increases the tube’s elasticity while (more or less) retaining its original shape. With regard to actual size, pressure gauges display a marked degree of variability. Regardless of their specific material makeup, standard and custom pressure gauges are designed to be able to fit into any number of tight spaces or (on the other hand) to sufficiently span an uncommonly large tank. The (relative) simplicity of pressure gauges derives from the fact that the pressure measured by the gauge is the only energy source necessary for the gauge to work. At the end of the production process, pressure gauges are calibrated according to the pressure readings of a “master” gauge that already exists. Once this is accomplished, the gauge is ready for use. Gauges are typically able to be installed at various points on a fluid power system (e.g. near a hydraulic pump’s pressure port, at a stand-alone regulator in a pneumatic or compressed air system, etc.). Sometimes, pressure gauges are even able to measure “sub-circuits” within a fluid power system that operate at different pressures than the rest of the overall system (e.g. a circuit that occurs after a reducing valve). Two major groups of pressure gauges exist: analog pressure gauges and digital pressure gauges. This division is important to take note of since these two types of gauges operate and display information somewhat differently. Analog gauges are “traditional” pressure gauges which display information with a needle that changes position on a meter’s clock-like face (in proportion to changes in pressure). The key component of analog gauges is the “tube” alluded to in the previous section. These types of gauges contain some type of inner, elastic chamber that is somehow connected to the pressure being measured – and thus deforms, or otherwise moves, as the pressure acting on it changes. Through an intricate system of gears (known as the movement), the chamber within an analog gauge is able to translate pressure-induced motion into the movement of a needle across a scale. • Bourdon tubes are the most common type of elastic analog chamber. A Bourdon tube is an elastic, C-shaped chamber consisting of one of the metals described in the previous section (e.g. copper, steel). When pressurized fluid enters this tube, it causes the tube to uncoil or straighten. This uncoiling of the Bourdon tube activates the gear and shaft assembly – which, in turn, moves the needle on the gauge’s clock-like display. Bourdon tubes may also come in the form of spirals or helices. Overall, this type of elastic chamber comprises a simple yet effective mechanical method for converting changes in pressure to quantitative readings on a scale. • Bellows are elastic chambers that expand and contract rather than uncoiling in response to pressure changes. They consist of some type of thin-wall tubing and are almost always supplemented by a coil spring that strengthens its fatigue life. • Diaphragms or stacks (single or multi) Elastic chambers consisting of thin metal sheets within a cup are known as diaphragms or stacks. This type of chamber moves as pressure is applied to its interior. Unlike bellows, diaphragms do not utilize supporting spring structures. Although analog gauges are still very popular, they are increasingly being replaced by digital gauges, which are easier to read and more accurate. Unlike analog gauges, digital pressure gauges require another power source (e.g. batteries) to operate. They are attached to an additional measuring device, which measures pressure using sophisticated sensors and microprocessors. Once this additional measuring device feeds results back to the gauge, the gauge is able to display a numerical reading. Digital gauges operate either using strain gauge technology or piezoelectric technology. Strain gauge sensors indirectly measure mechanical pressure by measuring changes in the electric resistivity of conducting materials. (Most often, this material is silicon, bonded metal foil, or some type of film – polysilicon film, thick film, sputtered thin film, etc.) When pressure mechanically deforms the chamber (usually a diaphragm) within the gauge, changes in resistivity also occur. These resistivity changes are then electronically converted and subsequently displayed. Piezoelectric type digital gauges work in a similar fashion. However, instead of measuring changes in resistivity, piezoelectric sensors measure electric charges that develop across them, proportional to mechanical changes in pressure. To accommodate many different applications, manufacturers make many different types of pressure gauges. Examples of these include water pressure gauges, air pressure gauges, oil pressure gauges, temperature gauges, gas pressure gauges, fuel pressure gauges, differential pressure gauges, and vacuum pressure gauges. Some of the uses of these gauges are more obvious than others. Water pressure gauges (naturally) monitor the pressure of any water-based system. Quite commonly, they are found attached to tanks, where they monitor the pressure of the water within. Gas pressure gauges measure and display gas pressure.  They are especially prevalent in factories and manufacturing facilities, where they keep track of the flow rate of both high and low pressure natural gas and propane-based systems. Fuel pressure gauges also check gas pressure levels, but they do so in the context of automobiles. They measure and display the fuel supply, or amount of gas, left in a vehicle tank. Air pressure gauges measure pneumatic pressure in air-operated equipment. Oil pressure gauges measure the pressure of oil circulating in a lubricating system. Vacuum pressure gauges measure and display the pressure within vessels or systems that are immersed in a sub-atmospheric or vacuum environment. Vacuum environments are particularly used to create cold temperatures. Seal gauges are made specifically to stop and avoid potential leaks. As such, they are designed with the addition of a diaphragm seal isolator. Most of their applications are found in the process, pharmaceutical, chemical, petrochemical, and sanitation industries. Some pressure gauges may be designed to specifically measure substances flowing at either exceptionally high velocities or exceptionally low velocities. High pressure gauges are important to manufacturing and industrial applications, particularly those related to high pressure hydraulic technology (e.g. hydrodemolition, hydroblasting pumps, and water cutting machines). Low pressure gauges are extremely accurate and sensitive, generally measuring pressures between ten and fifteen PSI. They are especially important to applications that take place in environments with frequent pressure fluctuation. Thus far, only pressure gauges that operate with reference to gauge pressure have been discussed. A pressure gauge that measures gauge pressure uses the surrounding atmospheric pressure as the standard by which it measures. However, this is not the only way for a pressure gauge to operate. The main exceptions follow below. Absolute pressure gauges measure pressure with reference to a perfect vacuum. This means that absolute pressure gauges include surrounding atmospheric pressure within their overall pressure reading. Due to the name of the standard by which they operate, absolute pressure gauges are commonly misidentified as being identical to vacuum pressure gauges. Diaphragm type chambers are typically used in absolute pressure gauges. Sealed pressure gauges operate in a manner more similar to normal gauge pressure mechanisms. However, instead of using the surrounding atmosphere as the standard by which to measure pressure, sealed pressure gauges simply use some fixed pressure quantity – that may not necessarily correspond to the surrounding atmosphere – in order to make measurements. Differential pressure gauges are a bit different than other gauges. Instead of measuring pressure as a whole, they measure the difference in pressure between two points of contained liquid or gas. They are popular for filtration applications. Yet another way to approach gauge classification is focusing on the specific application a gauge is used for. To provide just one example, magnehelic gauges are a special type of pressure test gauge that uses a diaphragm and measures static pressure within the HVAC industry. Many gauges are designed for use with a specific type of product. A single example is the use of dial gauges or weighted gauges for use with pressure canners. More so than other industrial devices, pressure gauges are frequently used in conjunction with complementary instruments, like pressure sensors, pressure transmitters, pressure transducers, and switches. With the addition of these devices, gauges increase in accuracy and precision, displaying more specific readings with smaller margins of error. They may also be equipped with electric contacts that sound alarms, turn on signal lights, or control a valve or pump. Two specific examples of accessories used to increase the functionality of gauges are test point adapters and gauge isolators. Test point adapters fit to gauges and allow them to screw onto various points within the system, enabling a wide range of test pressure measurements without the purchase of multiple, separate gauges. Gauge isolators turn a pressure gauge into an “on/off” mechanism by mounting between a gauge and its circuit; unless a button is activated, the gauge will not be exposed to and will not read fluid pressure. Many accessories for gauges have protective purposes. As sophisticated industrial instruments, gauges face a variety of threats such as pipe vibration, water condensation, etc. The aforementioned gauge isolator also serves a safety function by protecting a gauge’s internal mechanism from sudden pressure spikes. Snubbers provide a similar function by damping intense fluctuations in pressure. A variety of case protectors can be purchased to protect the exterior of a gauge from hard shocks, while chemical seals are available to protect gauges from being corroded or plugged up. While pressure gauges generally do not require a high level of maintenance, investing in protective accessories is one of the best things gauge users can do to protect and extend the life of a gauge. When choosing a pressure gauge for a specific application, several factors should be taken into account. Some of the major considerations include the size of the dial, the size of the connection or port the gauge will be using, units of measurement that the gauge is capable of (e.g. PSI, mmHg, PA, etc. ), compatibility of gauge material with the operating conditions (including temperature, corrosiveness, etc.). and whether the gauge should be dry or liquid filled (the latter tends to have longer life due to shock absorption). One of the most important factors to consider is the pressure range of the gauge. Generally speaking, you should use a gauge that is able to read at least twice the amount of the expected working pressure. This provides a reasonable margin of safety for using the gauge. As a rule of thumb, operating pressure should never go above three-quarters of a gauge’s reading range. A corollary of the rules of thumb involving pressure is the importance of choosing application-specific pressure gauges. Hydraulic systems, for example, should only utilize hydraulic gauges designed for operating under normal conditions in hydraulic environments. It is important to note that the different types of chambers utilized by pressure gauges correspond to different ideals concerning pressure conditions. Bourdon type gauges are especially useful for medium to high pressure environments. However, they do not work well for low pressure scenarios. Gauges which utilize bellows and diaphragm chambers, on the other hand, are well suited to sensing low amounts of pressure and incremental changes within them. 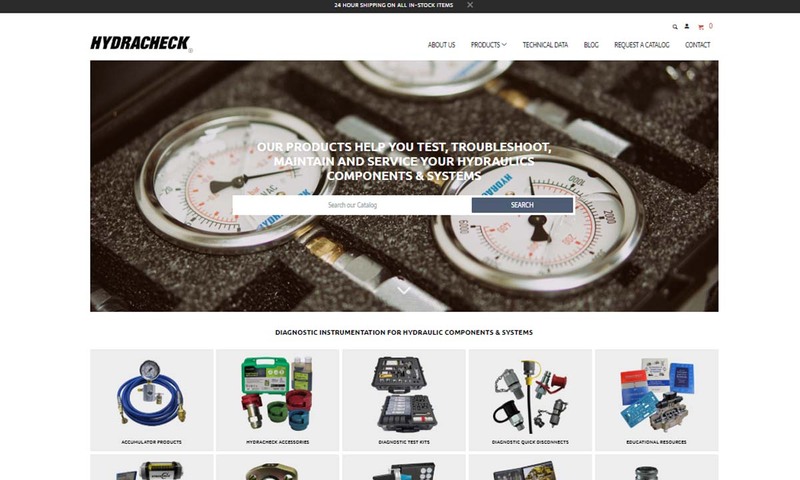 Since so many factors constitute proper pressure gauge selection, investing in a quality pressure gauge provider is one of the best choices that pressure gauge consumers can make. 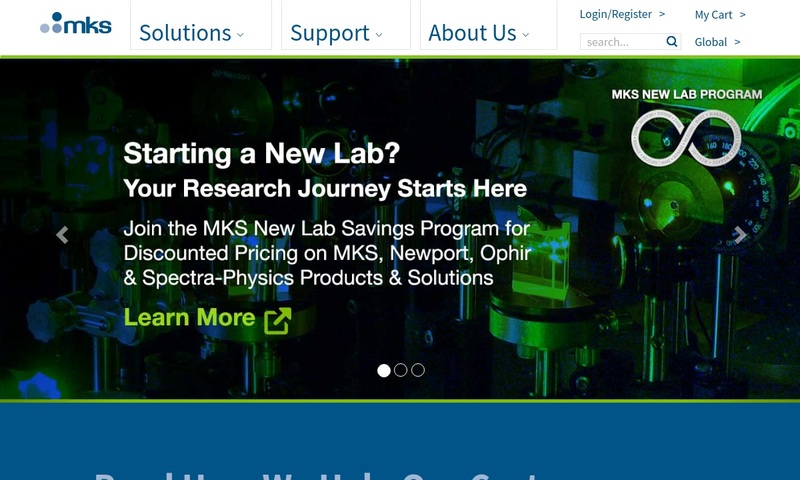 You should focus on finding a reputable provider that offers a broad array of gauge products and/or services (e.g. recalibration services.) Working with a quality supplier will ensure that you are able to maximize the usefulness and effectiveness of your pressure gauges for your particular application.